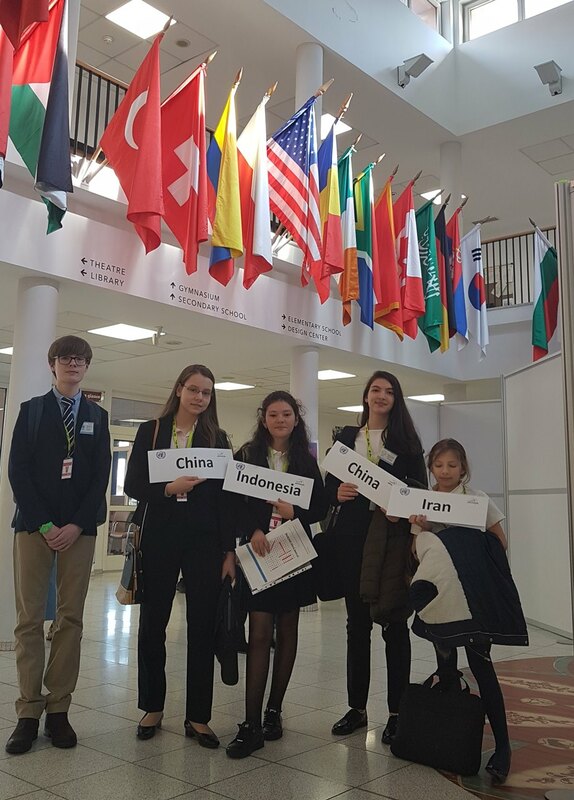 Six students from IBSB are attending Middle School MUN this weekend, offering our junior students a taste of MUN, representing China, Iran, and Indonesia, as they debate the way forward on tackling climate change, the repatriation of cultural heritage, the need for continued security in Afghanistan, and protection of refugees. 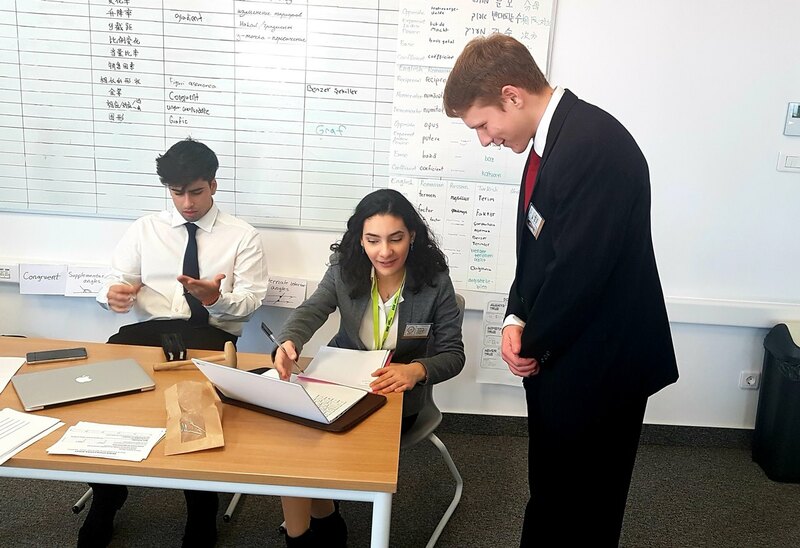 We also have Kyriaki, a senior student and Y12 Prefect, joining us as a seasoned MUNer, chairing the Environmental and Cultural committee. 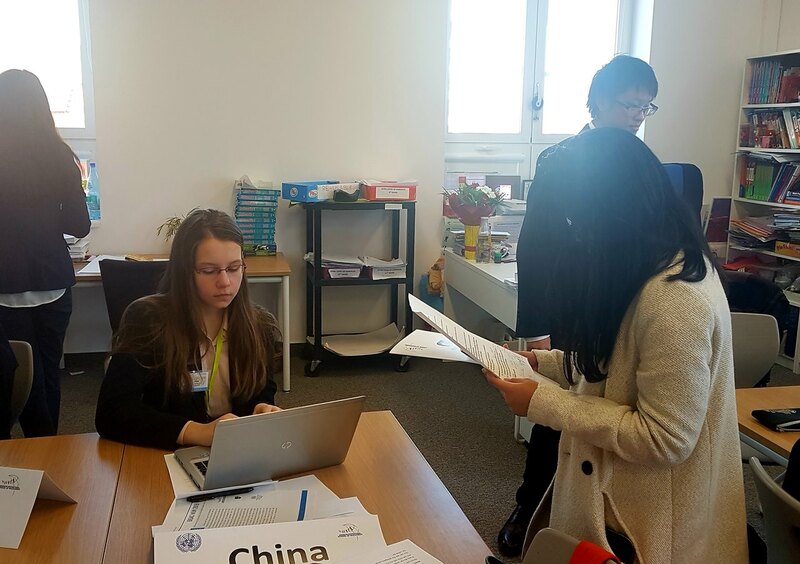 By the end of the first day our delegates were successfully rounding up support with 5 signatories each: Maria, Melissa and Patrick have all pushed forward resolutions within their committees, which will be debated on Saturday. 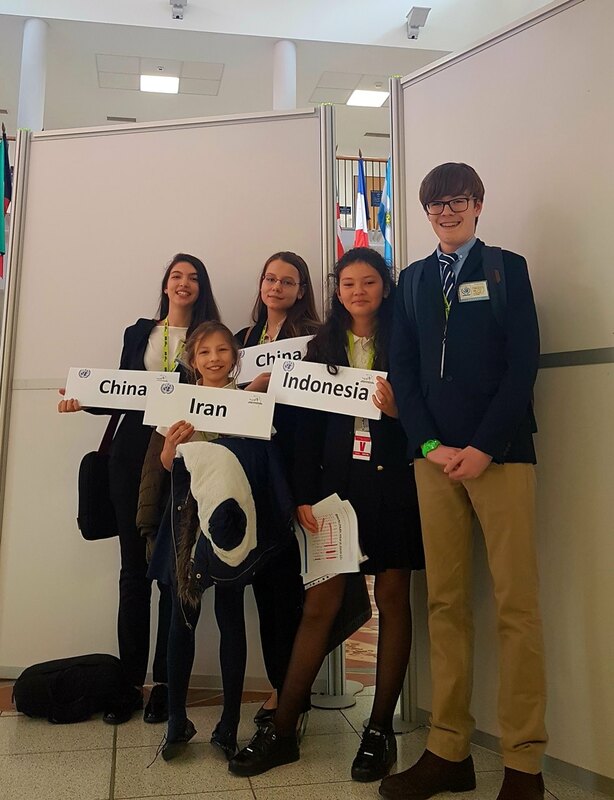 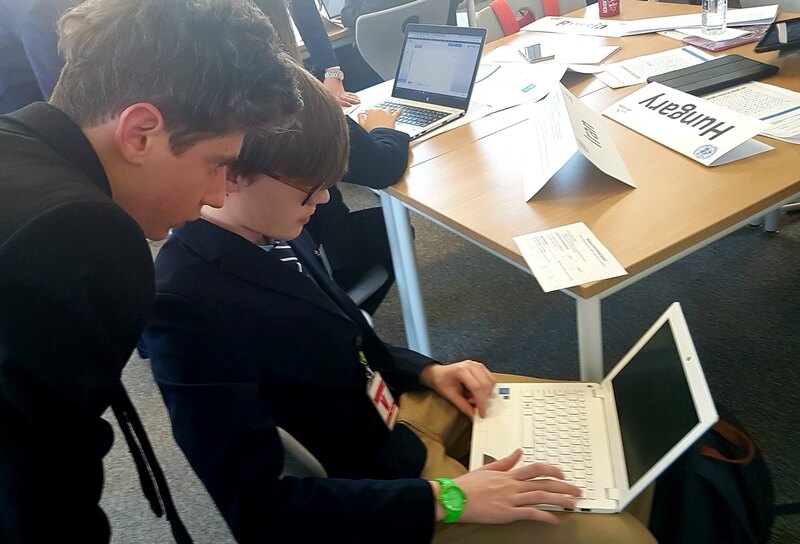 There’s a long day ahead tomorrow, so our delegates have all headed home to do further research and speech prep, hoping to sway more countires in their favour tomorrow.